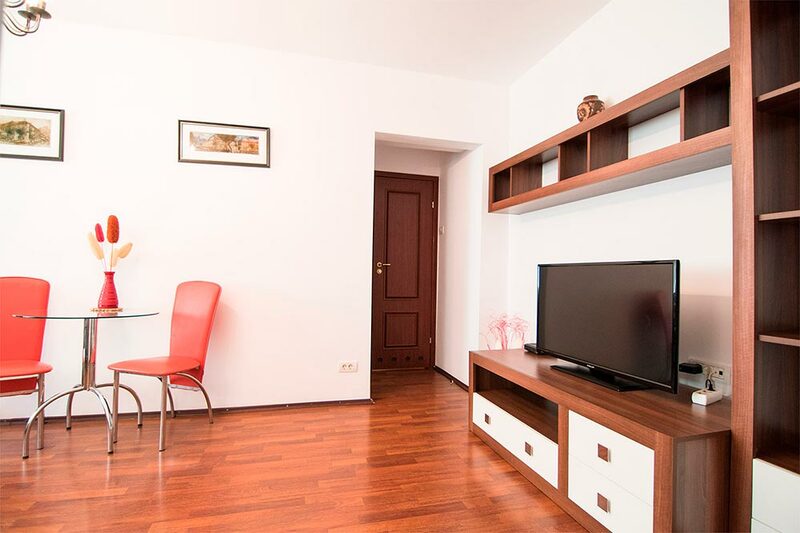 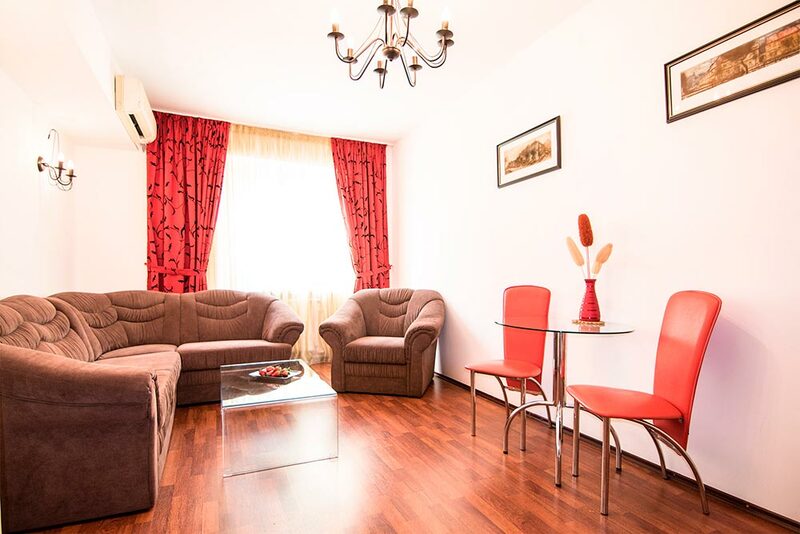 This lovely one bedroom apartment is in the best location Bucharest has to offer – the Old Town, at few steps from University Square, with everything you can possibly need at your doorstep. 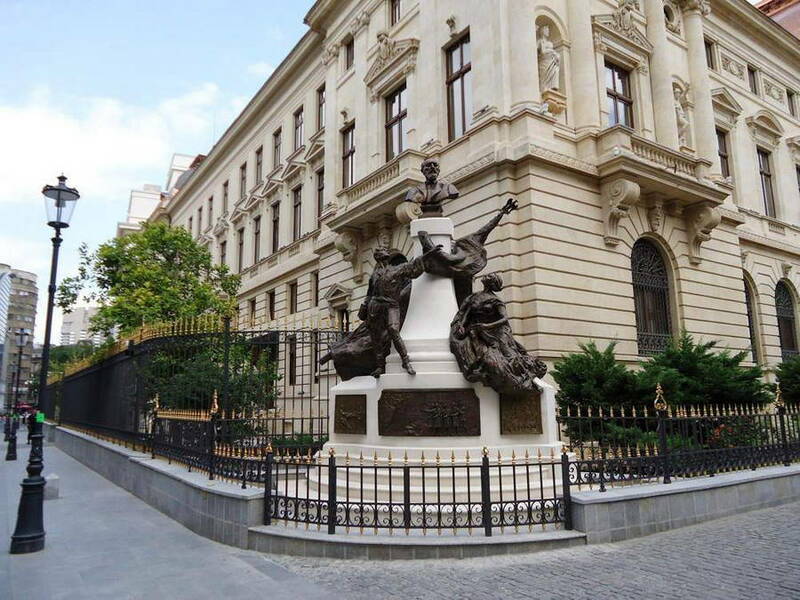 The Old Town is an absolute must for any visitor to Bucharest, at least take a tour to admire the diverse and old architecture of Lipscani and surrounding streets. 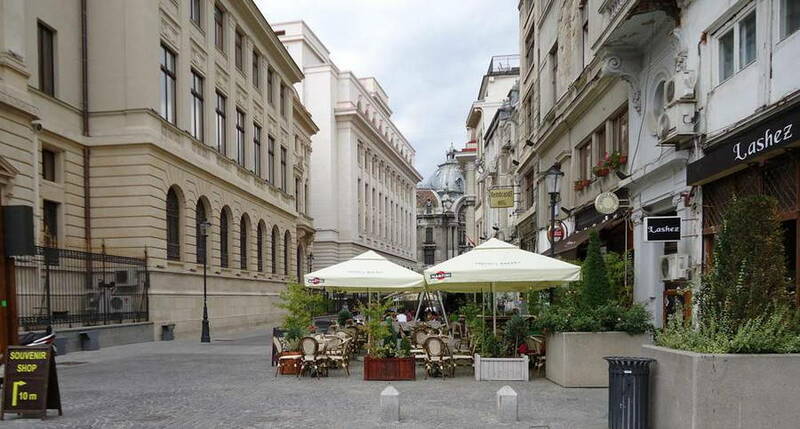 It has hundreds of restaurants, bars and clubs, where you can have a cup of coffee or nice meal. 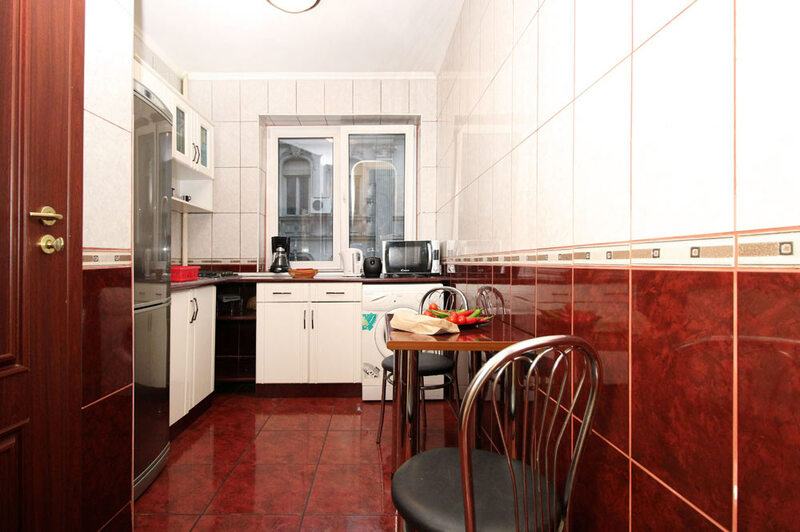 Nice shops can be found as well. 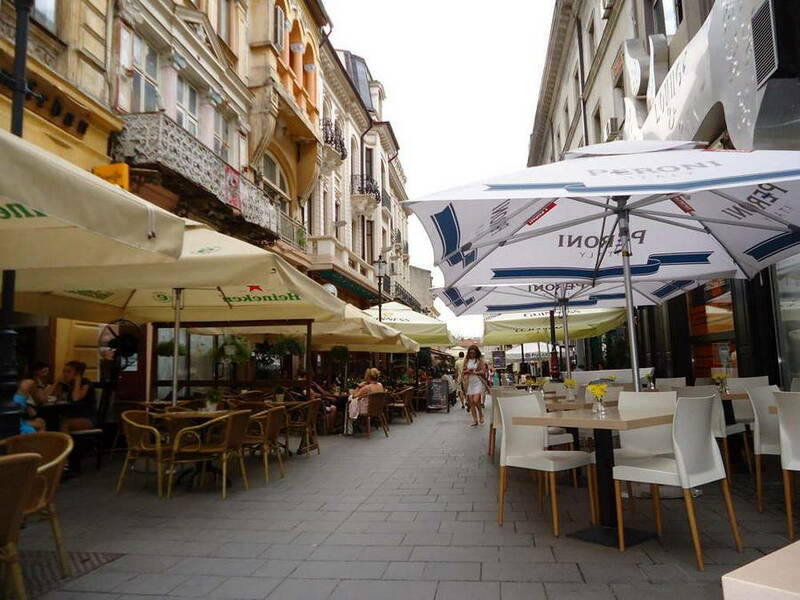 If you love shopping, just take a short, relaxed stroll to Calea Victoriei, with plenty of luxury shops. 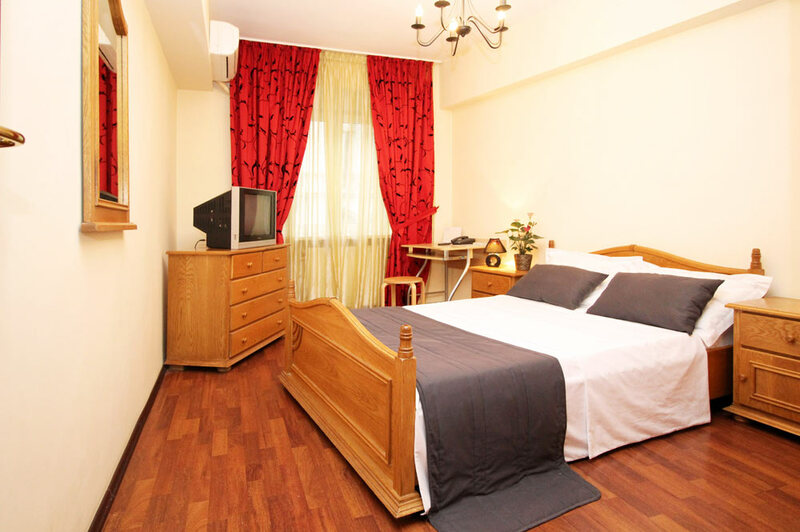 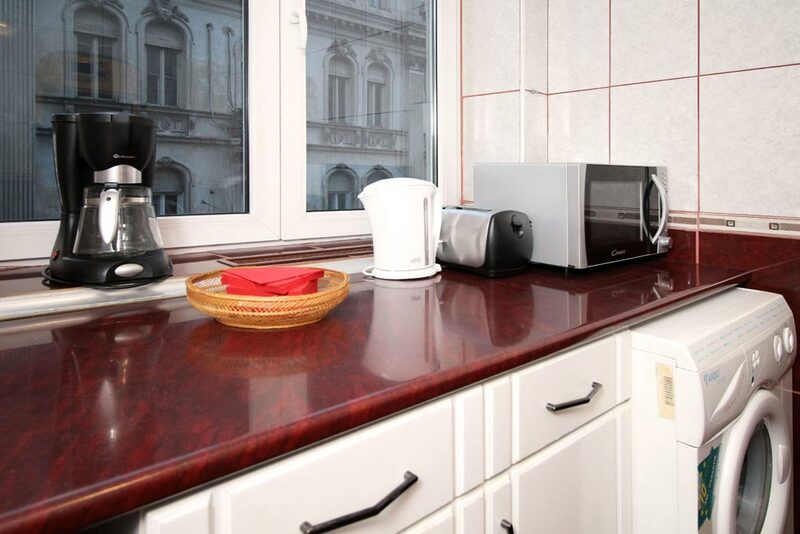 Revolution Square is nearby as well, with its superb buildings, including the Museum of Art (former Royal Museum) and Romanian Athenaeum.Spring Time 1 is a fantastic serviced apartment, with unbeatable location and a perfect choice for your Bucharest accommodation. 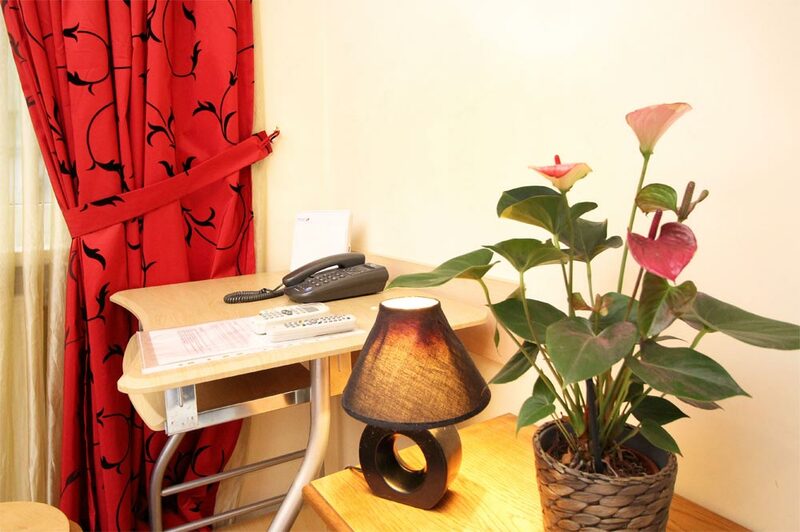 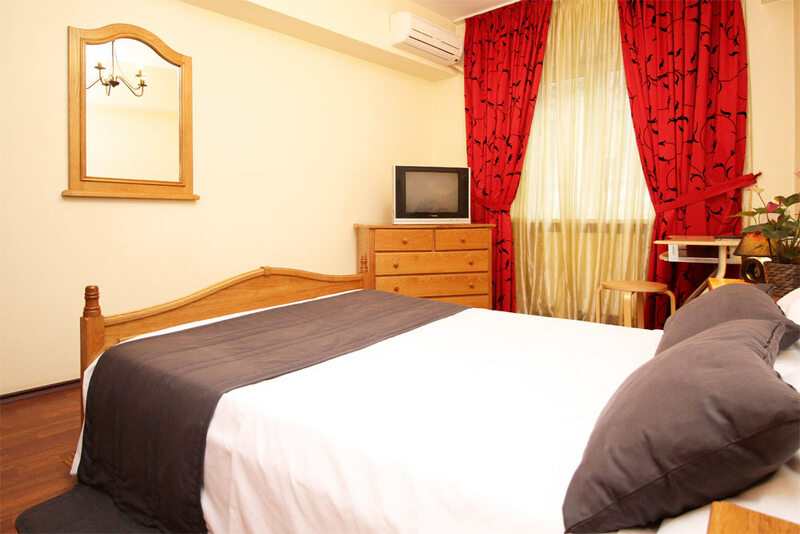 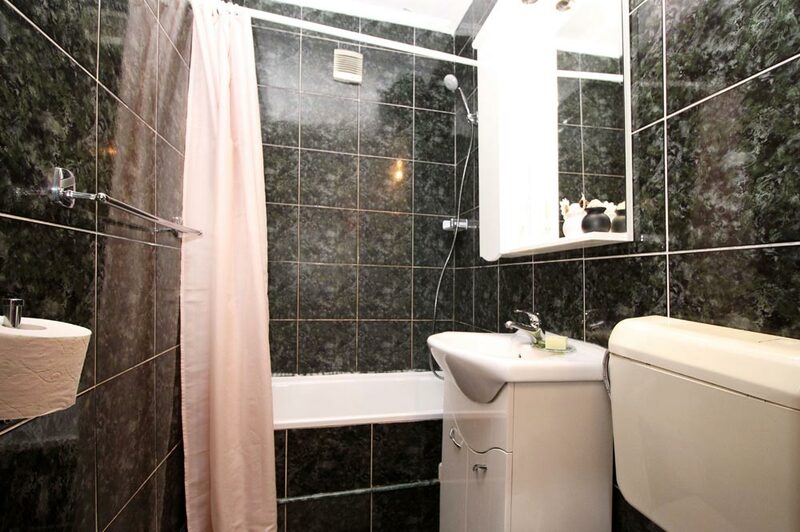 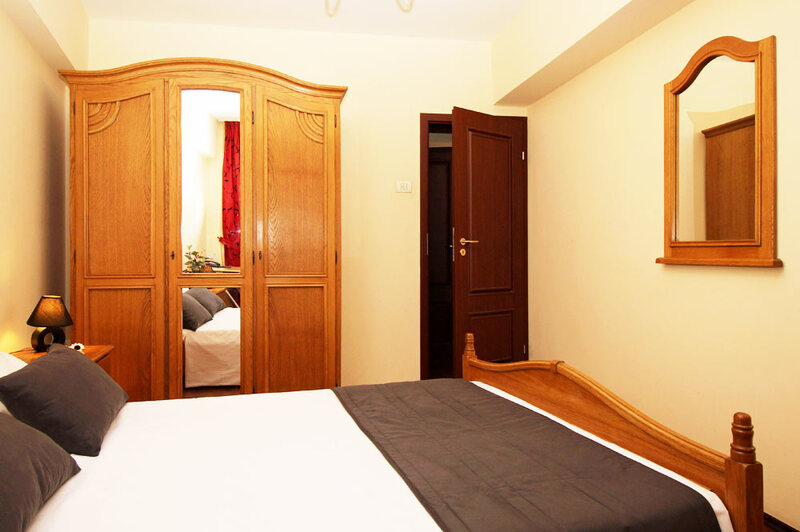 It features a master bedroom with a double bed, TV, an air conditioning unit and a wardrobe. 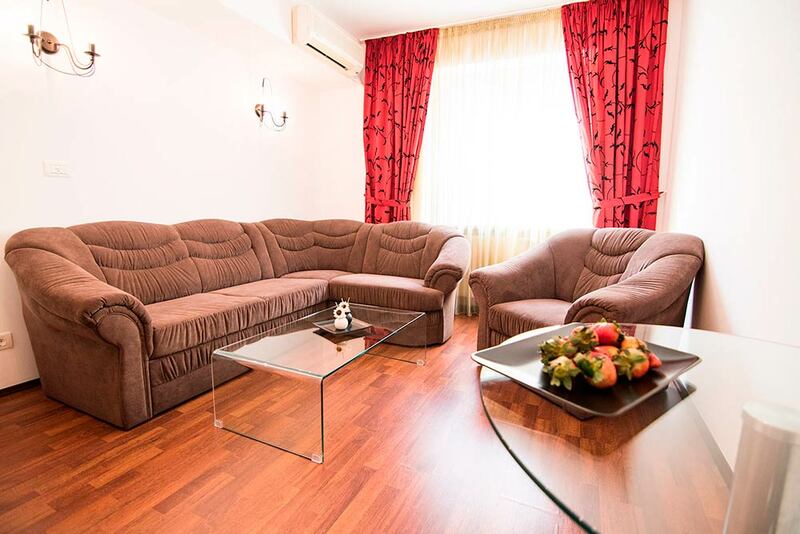 The third guest can use the sofa bed in the living room.The living room is spacious, with ample seating space, large bookshelf, TV, a second AC unit and a small dining area.The kitchen is completely equipped, having absolutely all it might be needed, from a table with two chairs, full-size fridge, microwave oven, toaster, kettle, to a well-sized closet.The bathroom is modern, with bathtub and shower.For all the comfort, other facilities of the apartment include central heating, air conditioning and cleaning services twice a week.The area of the apartment has all amenities including supermarkets, pharmacies and shops. 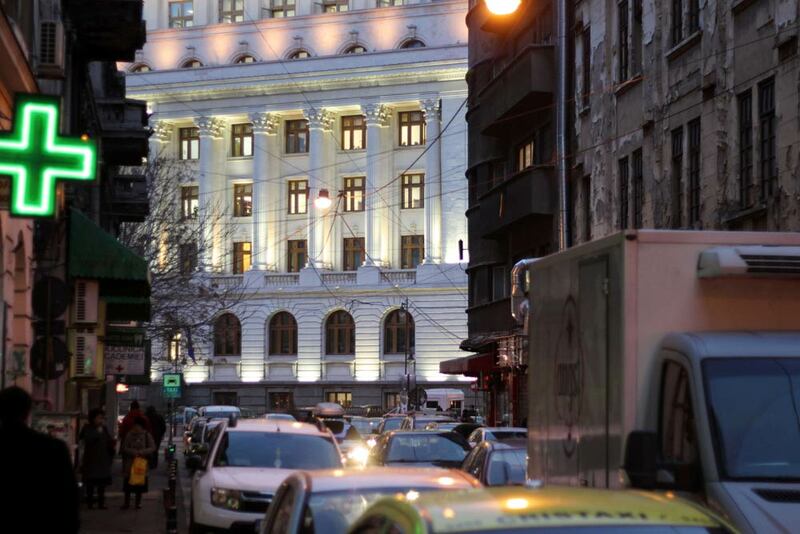 You can reach any parts of Bucharest very easy: the metro station is at two steps from the self-catering flat; the public transportation stops and taxi station are just around the corner. 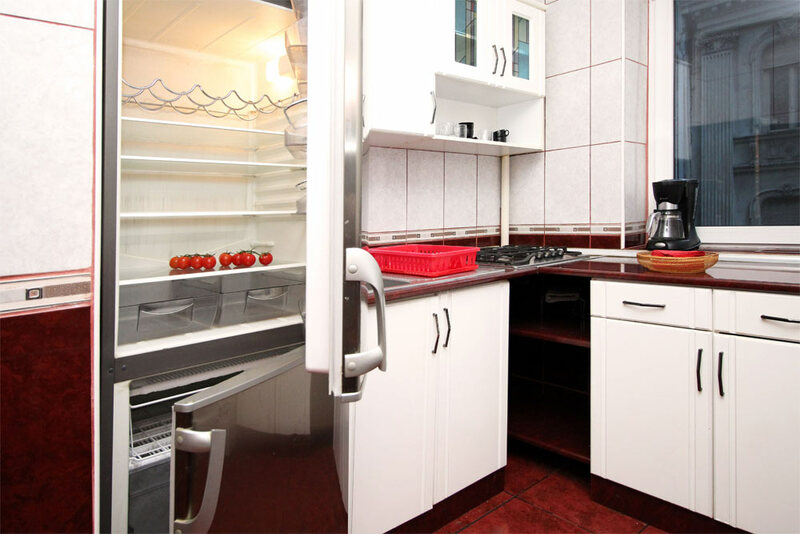 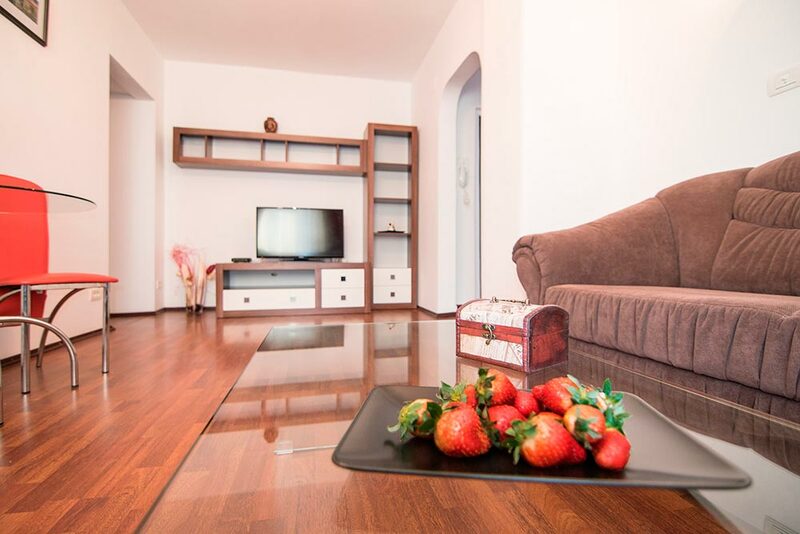 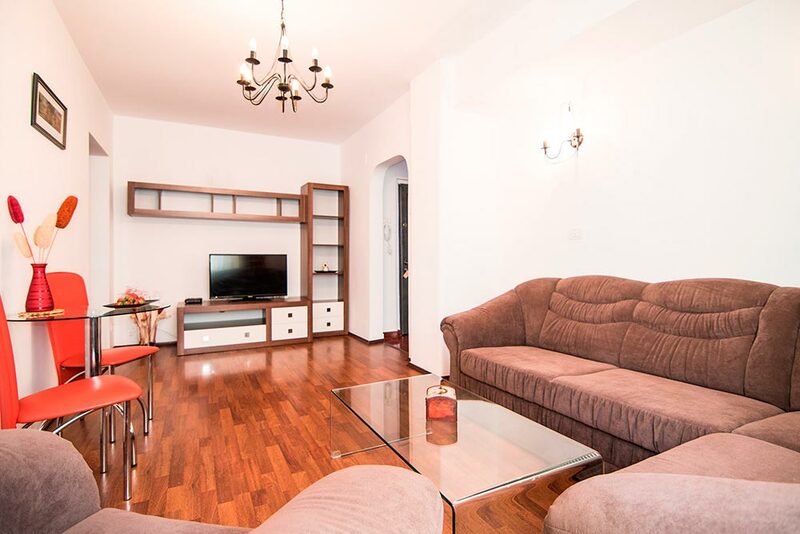 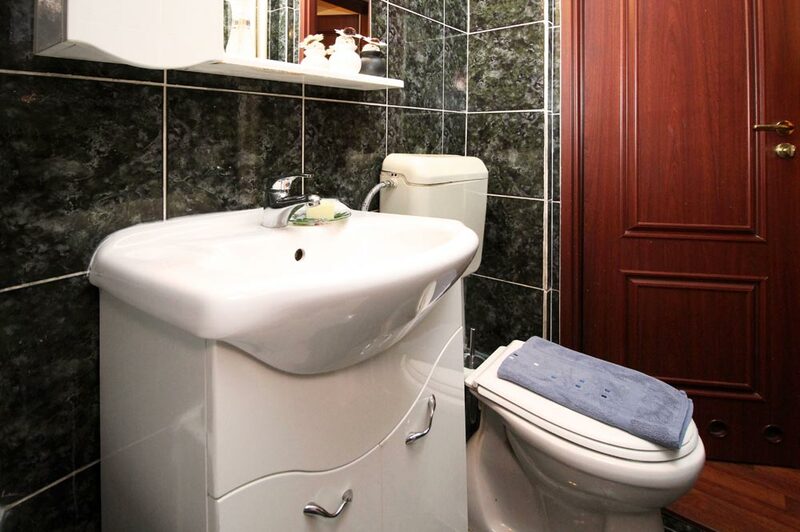 From this part of the center of Bucharest, you can easily walk to Unirii Square, Romana Square or Revolution Square.This apartment for rent in Bucharest is ideal for corporate accommodation and middle term rental. 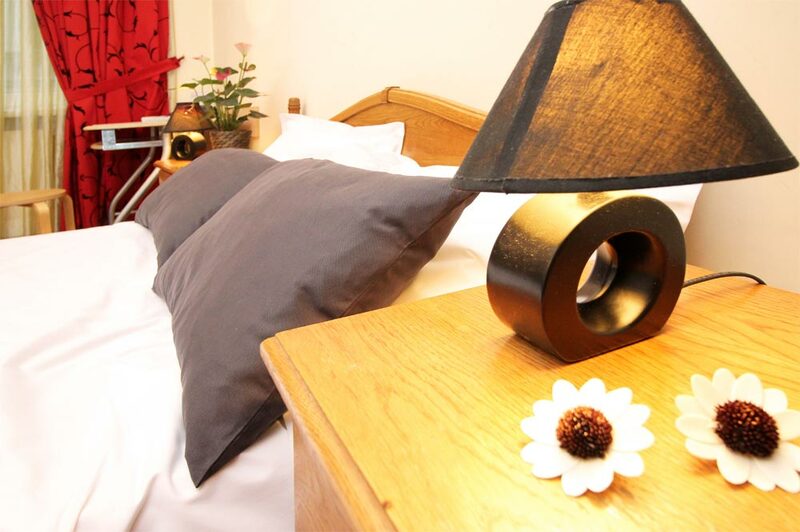 The tourists will enjoy Spring Time 1 for a short stay as well!